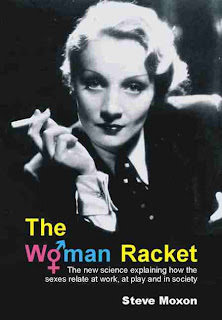 The Woman Racket is the first book to relate very recent science that is set to blow apart how currently we see men-women. The sexes, it turns out, do not have any sort of 'power' relationship, but beneath the surface live in very separate worlds with profoundly different motivations. This all stems from why it is that we have the sexes. The male acts as the essential 'genetic filter' for the species. The upshot is that not women but (the majority of) men are those disadvantaged in all societies. This reality had been unearthed by Warren Farrell (The Myth of Male Power), but he couldn't explain it. The science here both explains and reveals in more depth, and exposes other phenomena not so apparent. We can't see any of this because males have to be 'policed' in ways requiring within us all (men and women both) deep-seated prejudices against them. The political ramifications could hardly be more earth-shaking.